Mbweha Camp is located in the privately owned Congreve Game Conservancy and hidden in a grove of Euphorbia Cactus with over 300 species of birds. The gate to Lake Nakuru National Park is only 15 minutes away. The Conservancy is home to the majority of plains game such as- eland,warthogs, zebras, leopard,grants, gazelle,waterbuck, impala, hyena,dik dik, buffalo,giraffe,advark,baboon and flamingo. thatch roofs with natural lava rock walls and have a circular roomy sleeping area with ensuite shower and a private verandah. All cottages are simply designed and are comfortably and tastefully furnished and are all private and completely separate. The sunken bar and spacious lounge has an open fireplace, a pool table, darts board, and looks out at eye level over a mown lawn area onto a small water waterhole. 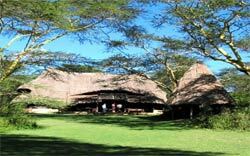 The bush restaurant serves a choice of freshly prepared meals as well as game meat in a separate thatched dinning room. Activities on offer include nature walks, bike rides, hiking, day and night game drives, bush dinners, and sundowners. Lake Bogoria Hotel is set in the acacia surroundings of the floor of the Great Rift Valley and against the backdrop of the eastern wall of the Great Rift, and the Tugen Hills in the west. This birdwatchers paradise gives you all the privacy that you require and keeps you in touch with the current events. A satellite dish and television connection offers free access to news, information and entertainment 24 hrs a day. give visitors the opportunity to see several magnificent birds of prey, noisy, restless 'bush' birds and the numerous species frequenting the shore. There are plenty of small motorised boats for hire, all captained by knowledgeable bird enthusiasts. And there is so much to see on the Lake - hippo and crocodile at close quarters, a bejewelled assortment of kingfishers, local fisherman sorting the day's catch, and of course the scenic beauty of a Rift Valley Lake. Our daily visit to a local tribe's manyatta (village) is always popular with guests. Situated on the southern shores of Lake Naivasha, the second largest of only two freshwater lakes in Kenya's Great Rift Valley, Naivasha Sopa Lodge is an impressive property with a dramatic backdrop. The lake is the stage of some magnificent storms and was named nai Pasha (Rough Water) by the Masai tribes. An ornothologists's paradise, the lake is home to 400 species of wonderful birdlife and an abundance of fish and water life. The surrounding landscape is host to a variety of game including giraffe, buffalo, the elusive black faced colobus monkey and, in the lake itself to many hippo that can be seen grazing within the lodge grounds. Activities which can be arranged at Naivasha Sopa Lodge include horse-riding, bird-watching, fishing, watersports, cycling, lake trips and nature trails. for which Lake Nakuru is famous. The lodge blends well with its surrounding and the animals often browse peacefully close to the gardens. 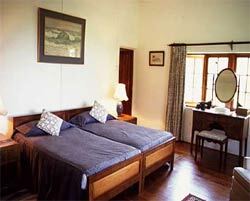 Accommodation is either in family rooms, cottages or suites. Situated on a small plateau in the Lake Nakuru National Park, Sarova Lion Hill Lodge gives view of the lake and the hills beyond. The panoramic view from the Lodge reveals a shimmering pink glow across the Lake, created by millions of flamingos, pelicans and marabou storks; the landscape blossoms natural foliage and a startling variety of flower gardens. 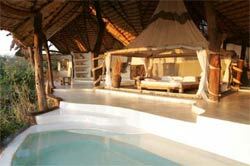 Shompole Lodge is located in the arid no man's-land between Kenya and Tanzania. 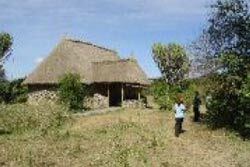 This newly built eco-lodge straddles a panoramic view of the savannah and swampland. The rooms have a double bed and en suite bathroom and toilet. There is also a plunge pool to cool under the hot-arid climate. Variety of animals can be seen, some while trekking to the neighboring ranches. Activities will include a resource center for tracing cultural history, fossils tours, camel safaris, canoeing, forest walks and bush dinners. A settler who came to Kenya by ox-wagon after the Boer War and is still owned by the same family established Loldia Farm. Nestling under the acacia and wild fig trees on the green western shores of Lake Naivasha, the present Loldia House was constructed from stone quarried on the farm. The main archway frames a stunning view of the dormant volcano Mount Longonot. At night hippos are grazing on the lawns of the house. On the farm's 6,500 acres, guests may walk or ride through herds of cattle and flock of farmed ostriches interspersed with impala, waterbuck and other plains game. 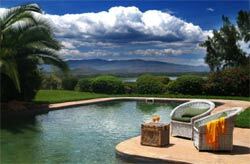 The farm is ideally situated to visit the flamingo lakes of Nakuru, Elementaita and Bogoria. 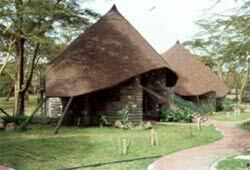 Kiangazi House is a luxurious and spacious country home overlooking Lake Naivasha Olaidien Bay. It has six delightful rooms all with en-suite facilities. The main house has a huge veranda, a lounge, bar, dining room with satellite TV. A tennis court overlooking a corridor route for wildlife is available. Perhaps, the giraffe could keep your score and of course, plenty of other spectators strolling in this area like Zebra, Impala, Warthog, Hippo to name, but a few. guides may take guests for informative walks along the lakefront where there is no shortage of game. This stretch of unspoilt lake frontage is home to some 300 different bird species an Ornithologists delight!Game watching during the day as well as at night at Oserian Wildlife Sanctuary.Climbing, swimming, bird watching, trips to the neighboring attractions, such as the bordering Hell's Gate National Park. Malewa River Lodge is a small and exclusive 12 bed “eco-friendly” lodge, nestled in the shade of huge Acacia trees on the banks of the Malewa River in a malaria free zone. The rustic design of the lodge is most unusual and innovative using local methods and materials gathered from the surrounding area. Situated in the heart of Kenya Great Rift Valley only one and a half hours drive from Nairobi. This protected area provides a new sanctuary for the endangered Rothschild Giraffe as well as for a myriad of other fauna activities available at Malewa and Kigio. Game and bird walks, horse riding, rock climbing, rout fishing, abseiling/rapelling, river trips.